MINSK, 25 December (BelTA) – Metropolitan Philaret of Minsk and Slutsk, Patriarchal Exarch of All Belarus, is retiring having reached the age of 75, informs the official website of the Moscow Patriarchate. At a session in Holy Danilov Monastery on 25 December the Holy Synod of the Russian Orthodox Church in Moscow presided by Patriarch of Moscow and All Russia Kirill accepted a letter of resignation submitted earlier by Metropolitan Philaret. Members of the Holy Synod thanked Metropolitan Philaret for the 35-year leadership of the church in Belarus which was marked by the formation of ten eparchies, a manifold increase in the number of parishes, the opening of new monasteries and theological schools, the launch of a friendly and constructive dialogue with the authorities and public organizations, and maintenance of a due standard of interreligious relations. 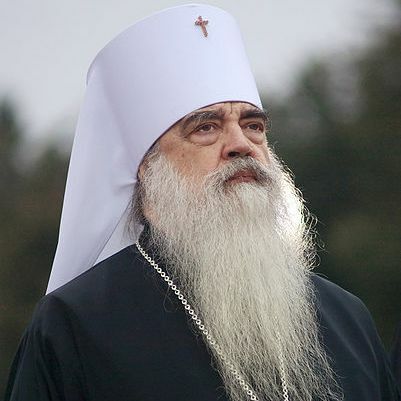 Metropolitan Philaret will become the honorary Patriarchal Exarch in Belarus. He will also keep his right to take part in the work of the Holy Synod and retain his seat at church services and official ceremonies. The Holy Synod thanked Belarusian President Alexander Lukashenko for his willingness to guarantee due living conditions and medical services to Metropolitan Philaret. Metropolitan Philaret was born as Kirill Vakhromeyev in Moscow on 21 March 1935. He was appointed Patriarchal Exarch of All Belarus on 16 October 1989.